When it comes to buying a space heater there are only a few simple but serious considerations to keep in mind. First, and above all else, you want a safe device. Saving a few bucks doesn’t mean anything your lose all your belongings in a house fire—factors like tip-over protection, proper safety certifications, and safety-concious design and component selection are a big deal. Each of the heaters we’ve selected in this roundup are selected with safety as a primary concern. 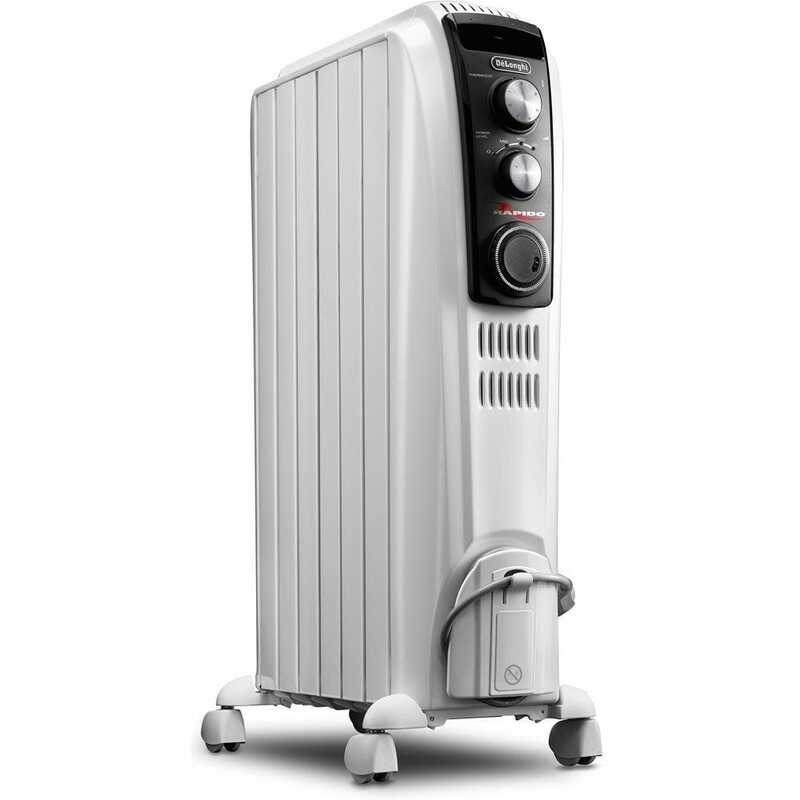 Second, bigger is better: it’s far better to have a beefy space heater that can heat spaces big and small rather than a smaller heater that struggles and must be run constantly at full bore to warm even a tiny space. Finally, with safety and power out of the way, you can focus on specific features (like models with timers or frost-guard systems to keep your pipes warm) or specific heating methods (radiant heaters are a lot more cozy than fan-drive forced air heaters). Regardless of which space heater from our roundup you settle one, however, you can count on reaping one of the biggest benefits of using such devices: savings. Not only does heating up just the space you’re using, like your home office, make more sense (and save more money) than heating up your whole home , but in doing so you also run your furnace less which decreases accumulated wear and tear on the system. Do you have a smaller room you want to make really toasty really quickly? The Lasko Ceramic Heater is convenient and compact—at 5.75″ X 7″ x 9.2″ it’s practically shoe box size. It even has a handle so you easily can carry this lightweight heater around to a different space. At that size, though, you’re probably dubious of how well it could heat spaces up. While it’s certainly not the right fit for heating a cavernous living room with a vaulted ceiling it’s certainly a little powerhouse that would be perfect in a home office or bedroom. 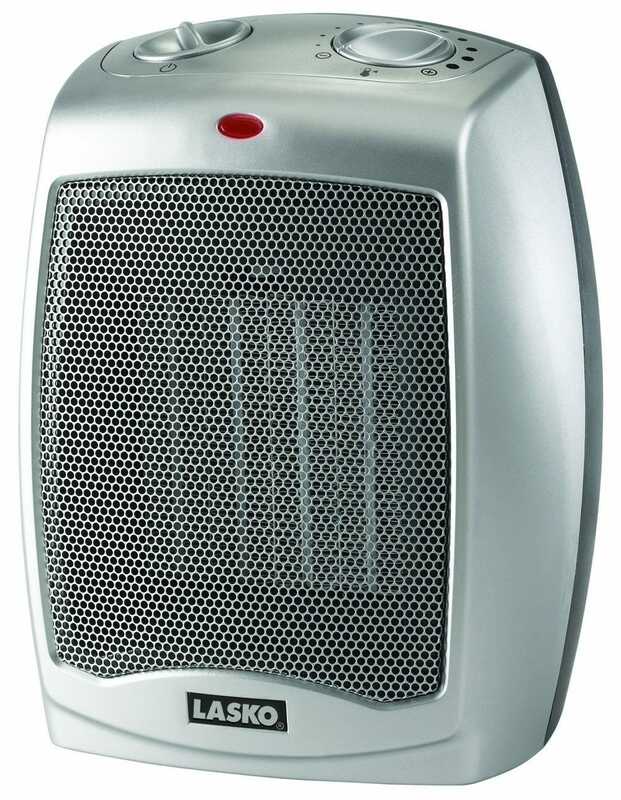 The Lasko Ceramic Heater sports a 1500-watt high setting and a 900-watt low setting. The controls that are located on the top of the heater are intuitive and easy to use, offering a simple on/off switch and a range of heating settings (including a frost-guard option to keep your plumbing from freezing). Lastly, the Lasko is ETL certified, which means that its design complies with national safety standards. Its features include an automatic sensor that shuts it off if it overheats, a cool touch exterior that prevents protects you (and your property) from burns, and a self-regulating ceramic heating element that is safer than older coil-based models. The safety features, compact size, and price point all contribute to the wild popularity of this efficient little heater. If you want room-filling radiant heat that’s completely different from the dry hot air you get from your typical space heater than the Dr. Infrared Heater is definitely what you’re looking for. 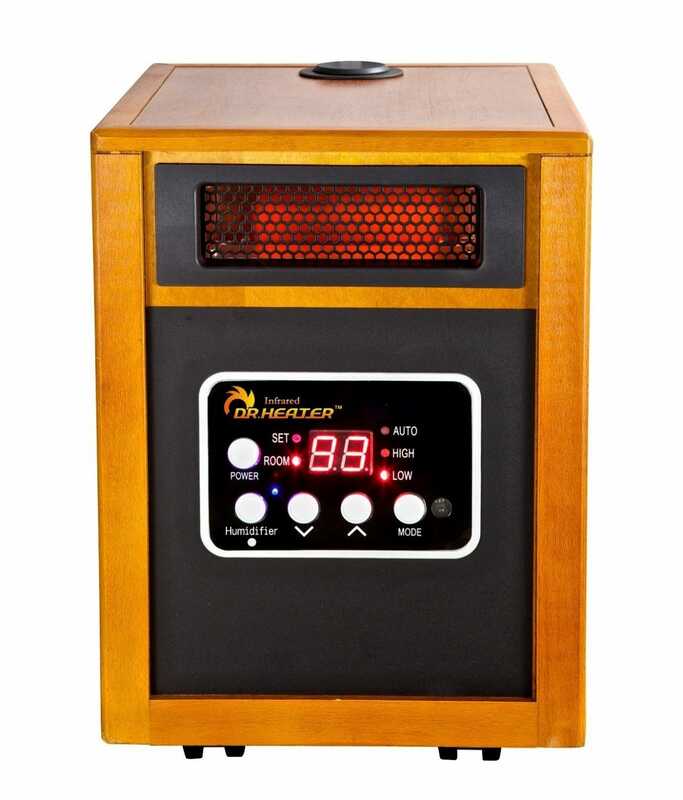 This 1500-watt heater can deliver heat 60% more efficiently than heaters with the same wattage, which is possible because the Dr. Infrared Heater has a powerful and effective blower to distribute the heat. Not only that, but it includes a built-in-humidifier to raise the humidity of the bone-dry winter air in your living space to a comfortable level. This heater is not only extremely effective, it’s also safe—it includes an automatic shut off timer as well as tip-over and over-heating protection. Safety features aside, the Dr. Infrared is thorough with the settings and features. It includes: low (1000-watts), high (1500-watts), and auto. Auto is an energy-saving mode that allows you to choose a temperature from 50 to 86 degrees Fahrenheit, allowing you to fine tune the heat to your comfort and taste. The thermostat regulates the heater with on and off cycles to heat up the room quickly and keep it at the desired temperature more effectively. Lastly, the Dr. Infrared comes with a remote so you can control the temperature from the other side of the room. Whether you like the old-school look of a radiator-style heater, or you like feeling cozy (as if you’re sitting in front of a wood stove), the DeLonghi Radiant Heater will give you the comfort and warmth you’re searching for. With 1500-watts of power, this radiant heater heats up medium to large rooms. While this type of heater is a little slower to reach operating temperature than an electric or ceramic heater, the cozier, longer-lasting heat that is given off will totally be worth the wait. Aside from the slight creaking you sometimes hear when oil heaters are warming up, the DeLonghi is absolutely silent—there’s no fan or moving parts. Inside the heater is a reservoir of oil that’s permanently sealed and never needs any refilling. There’s also an frost-guard feature that protects pipes in your room from freezing. Other safety features include automatically shutting off to prevent overheating, and a stable wheel design that makes it difficult to tip over. The DeLonghi Radiant Heater has an adjustable thermostat with 3 settings and a manual programmable timer—given the longer warm up time of oil heaters, the timer is a great way to have the heater start warming up before you get out of bed in the morning. Finally, the dual-layer design of the radiator housing maximizes heat distribution while keeping the exterior casing safe to the touch. If you loved the idea of the DeLonghi Radiator’s cozy and quiet heat, but want something that’s more traditional looking, it’s tough to beat this faux wood stove. 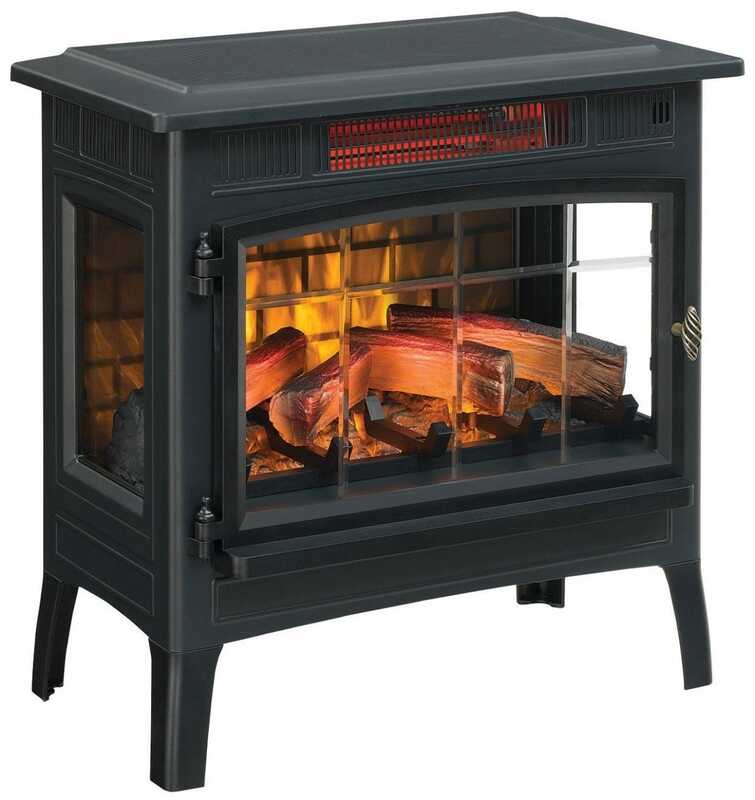 The Duraflame Electric Fireplace Stove can heat up to 1000 square feet with only 1500 watts. 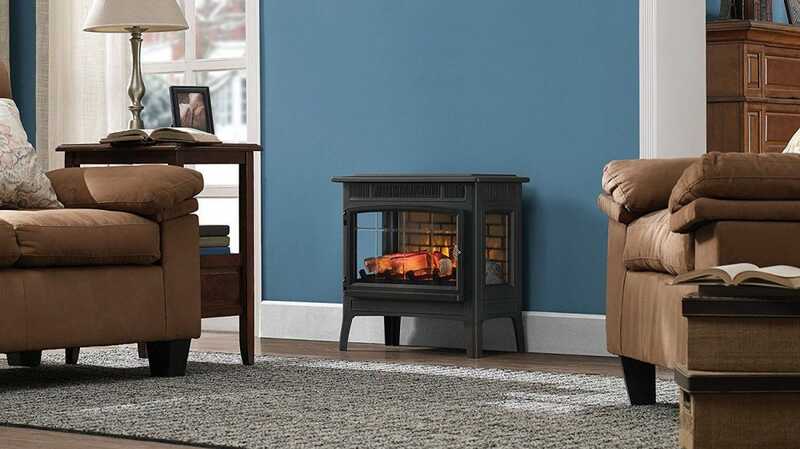 It not only looks good with its realistic 3-D flame effect, but it has 5 adjustable brightness settings that you can change depending on the time, weather, and mood—so you can feel cozy whenever you want with this electric fireplace stove. The Duraflame has fire prevention technology that turns the heater off if it senses if the temperatures are at unsafe levels. Despite the traditional look the unit is a very modern electric heater with proper safety features and even a temperature control panel hidden behind the door face. The Duraflame even comes with a remote so you can control the power, flame settings, temperature, and timer. With Chromebooks getting thinner and thinner, most of the port selection is narrowing down to just USB-C ports. Thankfully, these aren’t restricted in any way, and you can plug in your current accessories with one of these great hubs!